Before we left on vacation I turned to the internet to search for good activities for kids in the big city. Even ex-New Yorkers need suggestions every now and then and I was certain someone had taken it upon themselves to write an innovative guide book of interesting things to do with children that didn't include all the usual suspects. 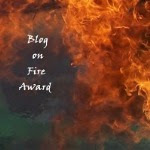 It's entirely possible that book, blog or website exists but if it does, I didn't find it. In lieu of guidebook suggestions I decided we would wing it. Instead of planning our days I decided to wake up every morning and ask the kids what they felt like doing. The result is we created our own quirky guide to NYC. Before I write about it I feel like I need to add a precaution (it's the lawyer in me). This isn't a guide for someone on their first trip to NYC. It might not even be a guide for someone on their second trip. To be sure, we hit lots of famous landmarks, but we skipped a lot of them too. We also didn't pack as much as we could have into our days. However, if you're looking for the offbeat relaxed guide to seeing NYC with kids...you might have come to the perfect spot. Day One: My husband had to be at his office bright and early but the kids and I slept in. When we woke up downtown was already in high gear. We made our way through the business clad bustle of Wall Street to Leo's Bagels and stood on line with the locals. "This is New York. You can't take too long to make up your mind," I whispered to decision-challenged Child #1 as our turn approached. We took our bagels, that rivaled the defunct H&H in deliciousness, and sat on the steps of Federal Hall next to the George Washington statue while I tried to explain what happens in the Stock Exchange. Fully sated, we hopped on the subway and headed all the way uptown to Central Park West. Child #1 had set our day's itinerary by asking to visit Strawberry Fields. Child #2 was a little disappointed to discover there were no strawberries to be picked at the John Lennon memorial, but he was mollified with promises of ice cream. From Strawberry Fields we wandered through the Shakespeare Garden, reading quotes from his plays and then climbed the stairs of Belvedere Castle where we enjoyed a view of the entire park. By this time Child #2 was beginning to wilt but a chance encounter with a singing group near Bethesda Fountain perked him up enough to make it across the park and catch the downtown bus that deposited us not far from Dylan's Candy Bar. We fought through the crowded first floor to a quiet cafe upstairs. "Mom," said Child #2. "Let's have dessert for lunch." And because we were on vacation I agreed. Sugar-fortified, we scoured the store for Bertie Bott's Every Flavored Beans and filled up little plastic houses with candy. Not wanting to push my luck, or my kids, any further I hustled them out of the store on the wings of their candy high and we caught the subway all the way back downtown. 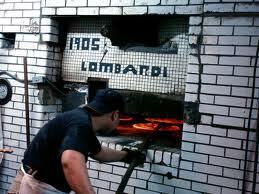 Later that night, after a SpongeBob Square Pants marathon, we headed up to Lombardi's Pizza on Spring Street. After dinner we wandered through Soho. Child #1 took my hand and said, "Mom, I think New York has the best pizza in the world." I have to say, as she approaches the tween years, it's nice to know we still agree on certain things. Stop by on Wednesday for more of my quirky guide to NYC with kids. Maybe you should write that book! What a great vacation! Awesome! I hope you'll be sharing more of these NY with Kids days. I'm really wanting to go back for a visit now. And I TOTALLY agree about New York having the best pizza in the world! I love doing things that aren't the norm on vacation. Sometimes my favorite things are asking locals what they do and doing those things rather than touristy stuff. It sounds like a great time! I love NY. Great idea for a guidebook! What a fun time with your family! Alex, I always crave pizza when I think about NYC. We had a blast Connie. Barbara, me too. I have a passionate love affair with foreign grocery stores. Emily, it'll have to be an abbreviated bloggy guidebook since I'm in the throes of addressing my editor's comments to Losing Hope. Mmmmm - New York pizza! And hot dogs! I like the size of the slices, but I'm a Chicago Deep Dish fan. I can't help it that I grew up eating pizza with a fork. That said, I had no problem eating New York style when I was living there. Mmm...pizza. I was on a plane that landed at LaGuardia, but that's the closest I've ever come to NY. Oh you changed your picture! And NOW we know where child #1 and #2 get their impishness. Love the pictures and it looks like the kids are a grand time. I think hopping around town via subways and buses are a great way to see things. Darn! We could have used a quirky guide to NYC back in June when we took the kids to see Spiderman on Broadway. There are some great kid friendly options here. Sounds like a great trip...smart idea letting the kids get involved in the planning. I could go for a slice myself right about now! Looking forward to the next installment. I love quirky guides! :) Sounds like you had a fabulous trip and you should definitely get started on the book! NYC does have awesome pizza. There was this place in midtown, I'm sure is no longer there, that made the most awesome eggplant pizza. What a popular post! My favorite place to eat in NYC is in China Town, having Dim Sum in a restaurant that has its own escalator.